Despite many efforts for making data about scholarly publications available on the Web of Data, information about academic conferences is still contained in (at best) free-text format. Availability of this data in a structured format would enable more efficient decision making for researchers, libraries, publishers, funding and evaluation bodies. 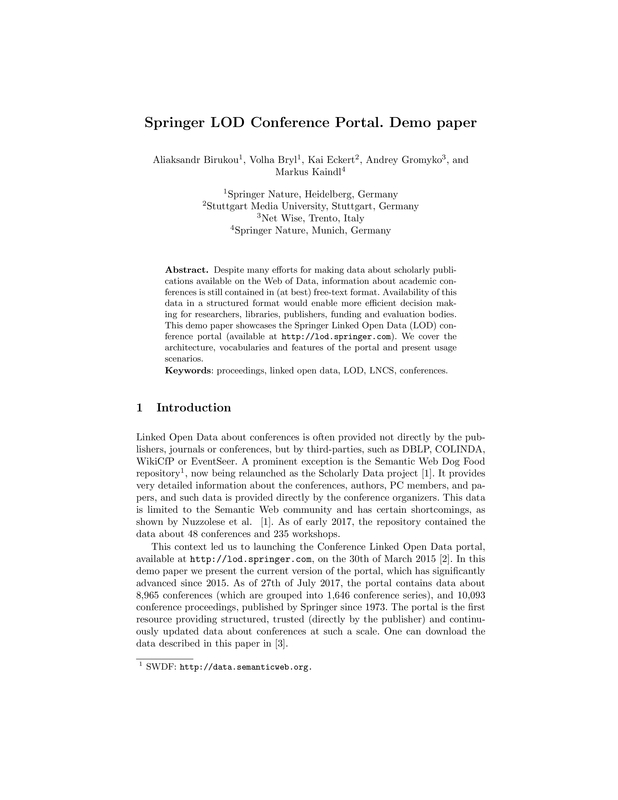 This demo paper showcases the Springer Linked Open Data (LOD) conference portal (available at http://lod.springer.com). We cover the architecture, vocabularies and features of the portal and present usage scenarios.